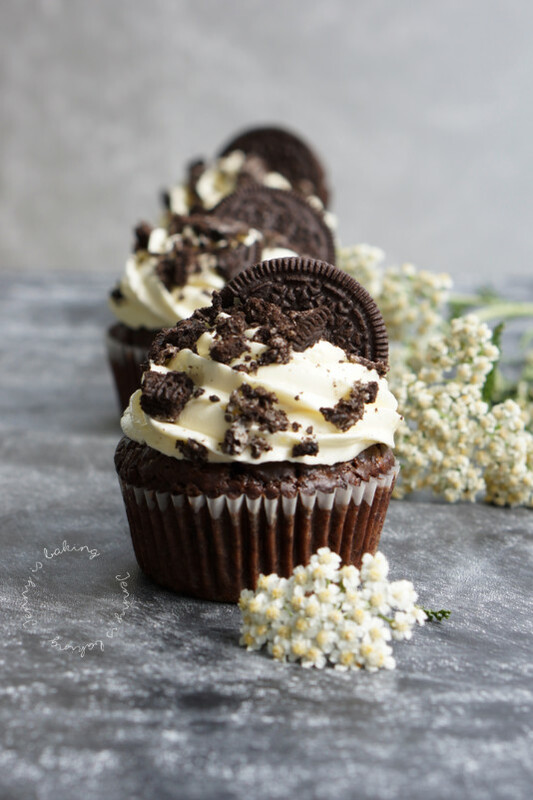 And then I also used one Oreo in each cupcake for the base as you can see in the picture below and topped the vanilla buttercream with another half oreo and crushed oreos. 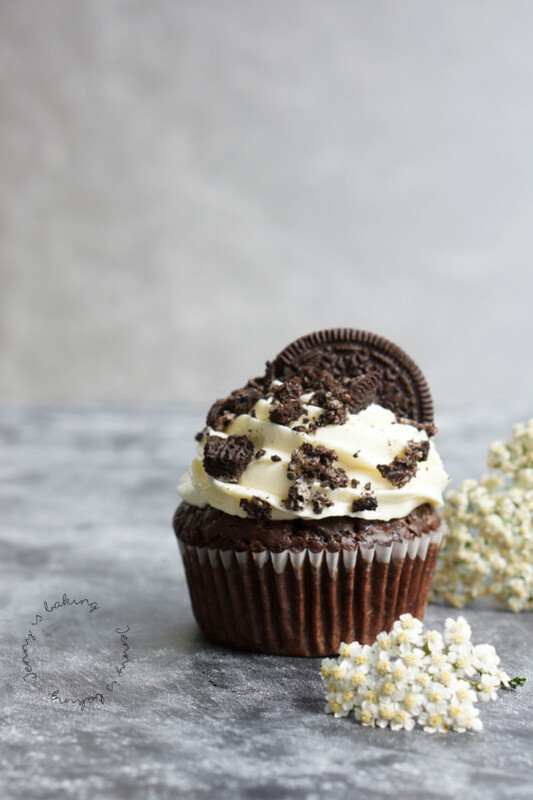 In my opinion you really need to have Oreos in an Oreo cupcake, don’t you think? I hope I was able to capture in the picture below how wonderfully moist the chocolate cupcake is. I was honestly surprised. No wonder Alison has received only positive reviews for it. 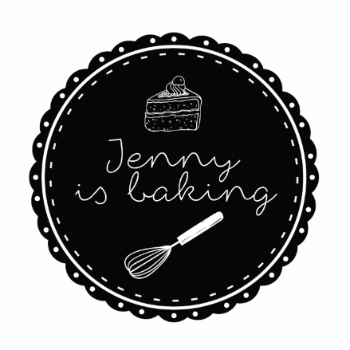 For the cupcakes first preheat the oven to 180 degrees Celsius and line 12 muffin tins with paper liners. Place one Oreo into each. Cover the chia seeds or flaxseed in three tablespoons of hot water and let sit until gloopy, should take about five minutes. Whisk together milk, oil, vinegar and vanilla extract. Then add flour, cocoa, sugar and baking soda. Add the prepared seeds and chocolate shavings last. Don't overmix. Pour into prepared muffin tins and bake for about 20-25 minutes. An inserted toothpick should come out clean. For the vegan buttercream mix together flour, sugar and milk in a pot. Heat up while stirring and let boil for about two to three minutes. It should thicken considerably. Let cool. If not using shortly after, place plastic wrap directly on it. Should be kept at room temperature. Beat the vegan butter for about five minutes until creamy, add the cooled off flour mix, one tablespoon at a time. Then add the vanilla extract and vanilla bean. Once everything is combined, beat for another minute. Pipe buttercream on cupcakes, I used an M tip, you should be able to frost the cupcakes generously. 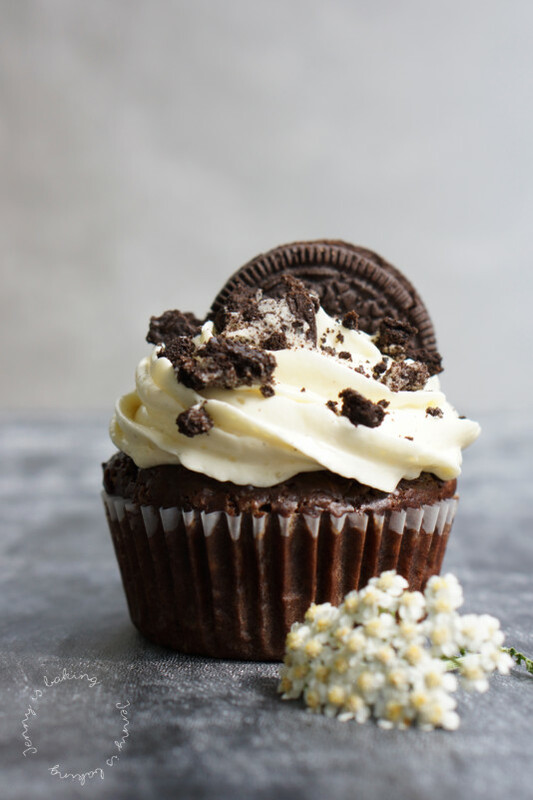 Once done, crush about 4 Oreos in a locked ziplock bag using a rolling pin and sprinkle on top of the cupcakes. 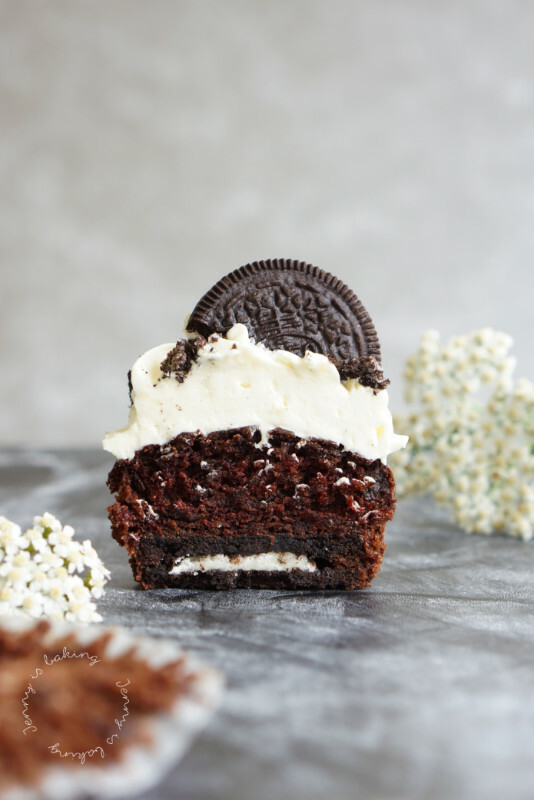 Press half an Oreo into the cream for each cupcake for additional decoration. 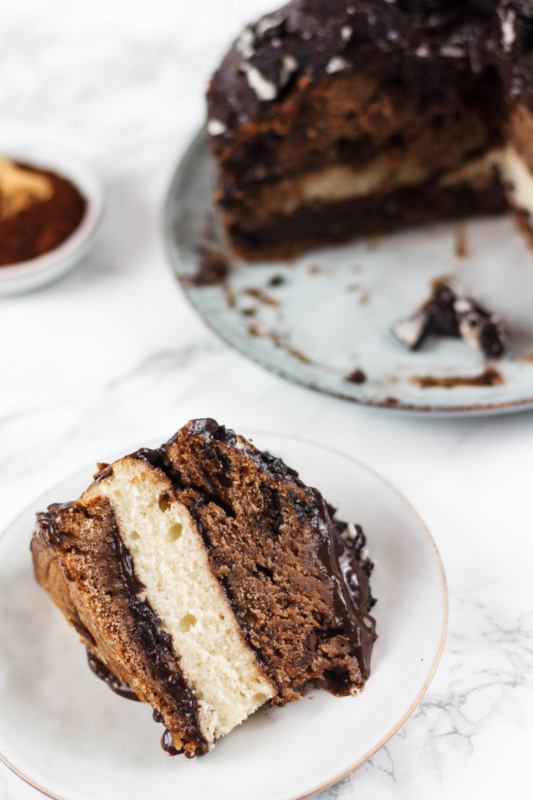 And just in case you haven’t had enough of Oreos yet, feel free to also check out my homemade oreos. If you swap the butter for margarine and use this frosting as the filling, you will also have a vegan version.